Alminax Rite Bite Index is a bite registration wax that is already shaped to mouth allowing adequate space for the patients tongue. It creates a reliable bite registration because heat spreads uniformly throughout its volume producing a soft consistency that deforms easily when a patient bites into it. The thickness and consistency has been specially chosen to provide the most accurate registration. 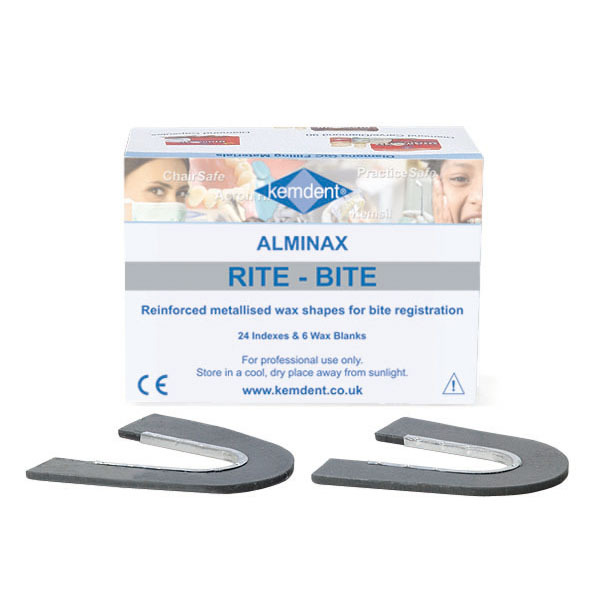 Alminax Rite Bite incorporates a metal strip for enhanced accuracy and reliability.